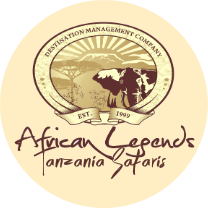 African Legends Tanzania Safaris are specialist tour operators to Tanzania and Zanzibar. We are an independent and privately owned company, dedicated solely to devising the finest holidays that this breathtaking part of the world has to offer. Based in Tanzania with offices in Arusha, we have over have over 14 years of experience creating tailor-made itineraries to suit very individual requirements, and our in-depth knowledge allows us to provide clear and impartial advice on all aspects of your planned holiday or honeymoon. We only feature tours and accommodation we can truthfully recommend, and we only enter into partnerships with suppliers we believe in. Our comprehensive, and impartial service costs you far less than if you were to book direct, which is why we provide this personalized service to give you exactly what you want at an affordable price! Our travel services team is also constantly being expanded to meet the needs of our growing client base. We look for people who are able to provide our travelers with a seamless vacation. They need to have an extremely high level of destination and product knowledge, provide a consistently superb level of service to our clients and, of course, have plenty of Tanzania travel experience in order to be considered as a Specialist Vacation Consultant. Having a wealth of information on Tanzania safaris and Zanzibar beach holidays, our consultants discuss all alternatives for your holiday with the help of photographs and brochures. In this way, and with your help, we are able to devise the ideal itinerary to suit your requirements. We can discuss and quote all options and possibilities with you over the telephone or email, and for this purpose we have scanned photographs and priced itineraries onto this site. Please look through the detailed information within this site. Thereafter we strongly recommend that you telephone or email us to discuss your plans further, and one of our consultants will talk you through the various options. All our itineraries are custom made – your timings are only limited by flight schedules – and your imagination! Our safari driver guides are fluent in English, and Swahili. We also have guides who speak German, Italian, French and Spanish and are all trained professionals committed to offering you the most intriguing and informative Tanzania safari experience. They are expert game trackers with extensive knowledge about wildlife, geography, flora and fauna as well as an insightful awareness of the people, history and culture of Tanzania. Above all, our guides possess a sincere respect and appreciation for the environment, the animal life, and the natural wonders that make Tanzania the amazing place that it is.